Saturday, May 7 marks the 142nd Kentucky Derby, an annual horse race in Louisville, Kentucky, that is perhaps the most popular stakes race in North America. Last year's winner was American Pharoah, who became the first American Triple Crown Winner since 1978. Now it's time to see who will win this year's race, which has a guaranteed $2 million purse. For starters, how many horses are racing in the Kentucky Derby this year? Twenty horses will be participating in the race, and their names are spectacular. One favorite is Suddenbreakingnews, which is a really great thing to name a horse if you want the Internet to love you. There's also Oscar Nominated, Cherry Wine, Danzing Candy, and Exaggerator, among others. 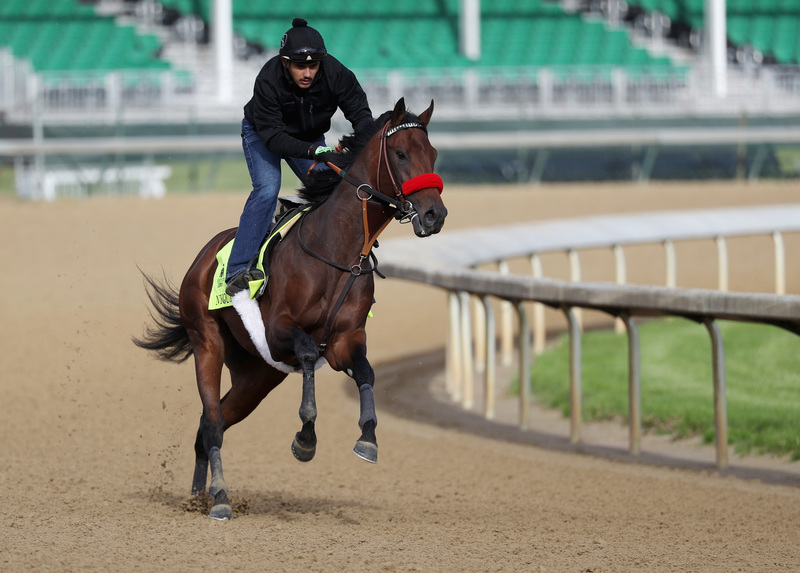 According to CNN, the horse with the best odds of winning the 1-1/4-mile race as of Friday is Nyquist, an undefeated colt from Kentucky with 3-to-1-odds. Although the field has been limited to 20 horses, 22 horses were entered into the race, so the top 20 were determined by designated prep races, USA Today reported. Cherry Wine and Laoban — both of whom were eligible — would have needed defections by the 9 a.m. deadline on Friday in order to participate, as they did not fall within the top 20. The Derby is currently looking at its second-richest purse in history, which means that the winner would earn $1,631,600. Also eligibles Laoban and Cherry Wine will probably set their sights on the Preakness Stakes instead, so which of the 20 horses will win the race? There's one way to find out: Tune in to the Kentucky Derby on Saturday at 4 p.m. ET on NBC, make your own mint julep, and relish in the fact that if you're watching from home, there probably won't be any tall, fancy hats obstructing your view.